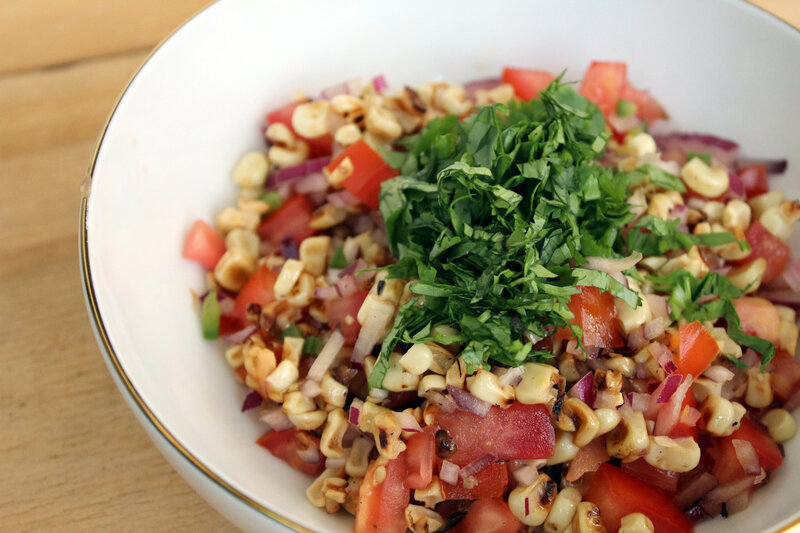 it’s getting cold outside, so we’re eating lots of warm food… like this warm corn salsa. it was part of a recipe we created for the baltimore chef shop. 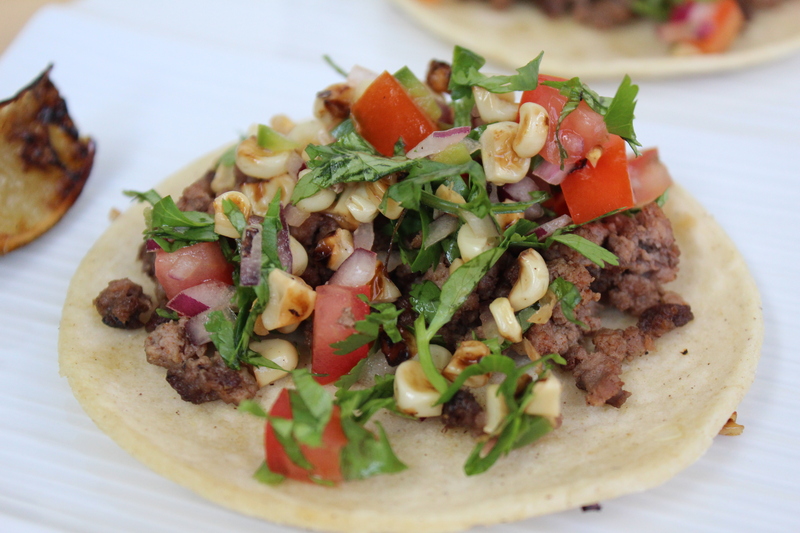 you can find the whole thing, including how to make some homemade corn tortillas, right here. the chef prefers this salsa without tomatoes and with cilantro. the girl prefers it with tomatoes and without cilantro. marriage is hard, you guys. 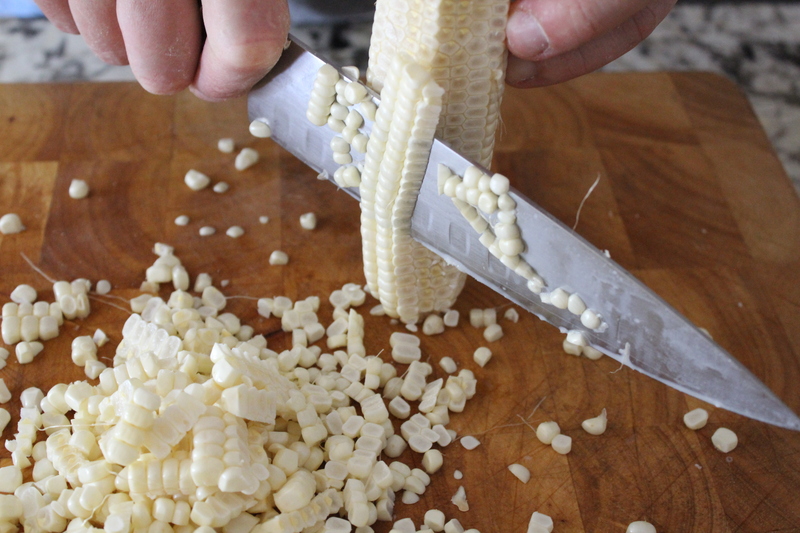 1. cut corn off cob and sauté. you’ll hear lots of popping. the chef might try to convince you you’re messing up and turning it into popcorn. when that happens and you freak out, just remember that popcorn has to be made with DRIED kernels and there’s no way you’re making popcorn right now. what you’re doing is cooking the super starchy flavor out. go ahead and try a kernel pre-saute. it’s pretty gross. you’ll never try another. probably. 2. cut the jalapeno in half and put it open side down on your pan or griddle. cook it until you’re scared you’ve burned it. that’s when it’s good. it’s called plancha – which is basically a spanish word for a griddle, but can also be used to describe a way something’s cooked. 2. dice onion and tomato. 3. chop the cilantro if you’re into that sort of thing. 4. combine everything, squeeze half a lime over it, add salt, toss, taste and add more salt if needed. we ate the salsa over these warm tacos we made for the chef shop. seriously. go to their website. here it is again: baltimorechefshop.com. if you’re in baltimore sign up for one of their classes!